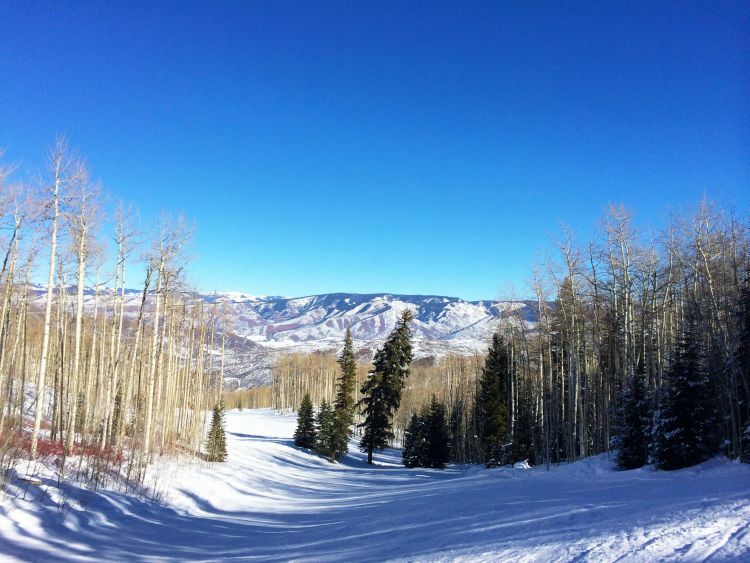 The mountains are calling … Aspen Snowmass here we come! ‘So, we need to book our next snow holiday. Where do you want to go?’ Ian asks. ‘Don’t mind, as long as there’s not many people and there’s snow!’ I replied, chuckling away. 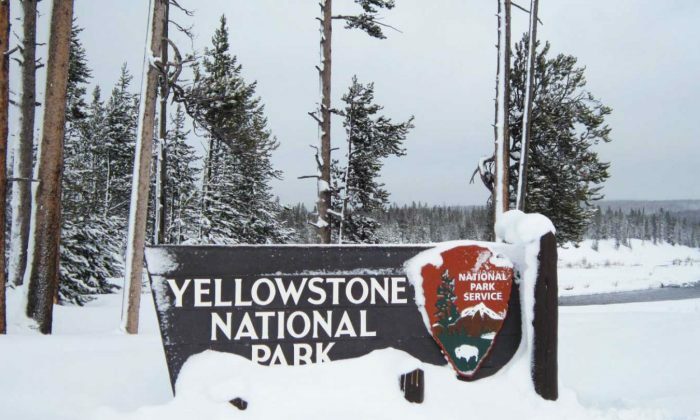 We fell in love with snowboarding a few years ago, when we had our first lesson together, and have thoroughly enjoyed our time since staying in a log cabin and sampling fantastic food at Jackson Hole the previous year. This time Ian thought it would be great to try snowboarding somewhere else. I’m not the greatest at boarding, but I will damn well try my hardest to get down that mountain without falling over! Ha ha! Aspen has mostly been known for the various celebrities visiting the mountains here, known as the ‘Hollywood of the Mountains!’ Aspen seems to be the perfect getaway for the rich and famous. Well, we’re not rich or famous but we still booked two weeks to explore Aspen Snowmass! Ian chose the Villas at Snowmass Club for our stay as the recommendations were great, they are close to the mountains, integrated with Snowmass Club and are fully furnished, spacious apartments with a fully equipped kitchen, laundry facilities and a cosy working real fireplace to keep you warm after a full day of snowboarding/skiing. 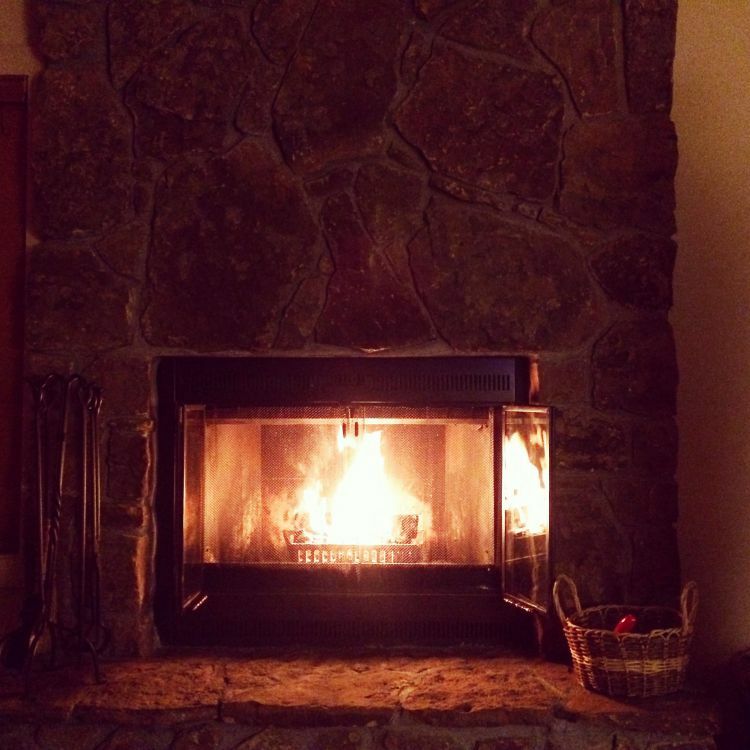 So we really could roast chestnuts over an open fire! There’s even a decking area (ideal in the Summer for a BBQ) with a fabulous view of the snow capped mountains, like a winter wonderland and handy for keeping the boards safe – we were on the uppermost floor. 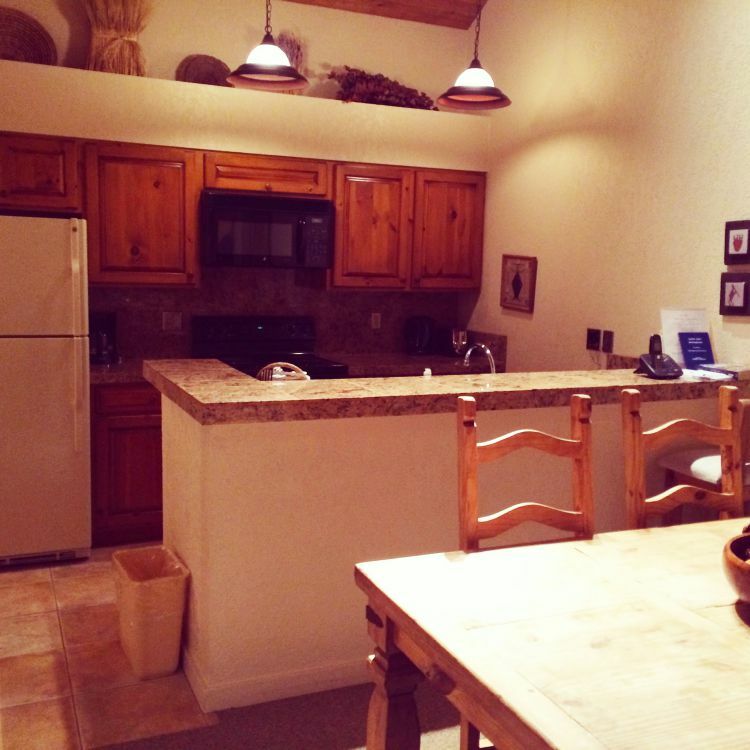 The fully equipped kitchen is great for those who want to stay in and save their pennies by cooking your own meals. It certainly does help with not splurging out on restaurants every evening in town. 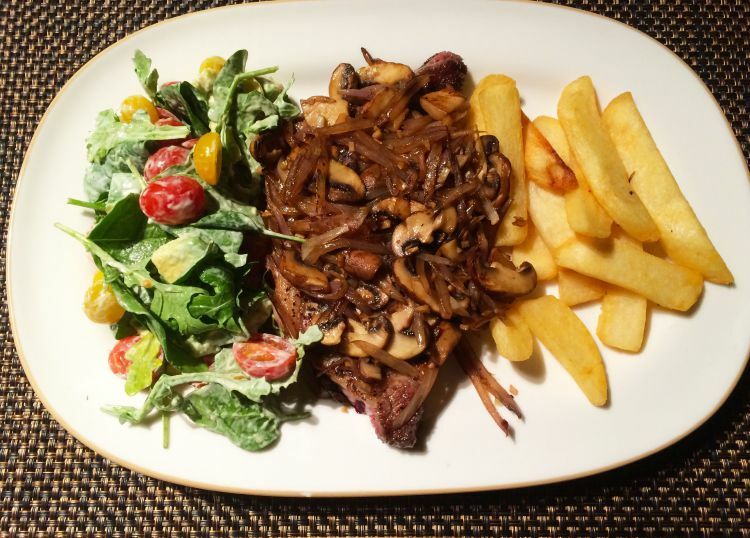 Ian did all the cooking and even made one of my favourite meals … steak and chips. And I did help out by making the salad. See, I’m not totally useless in the kitchen! Since the villas are linked to Snowmass Club, we had complimentary use of the gym, spa, outside heated swimming pool and hot tub at the club. The outside hot tub was bliss and we took full advantage of this every evening after being on the slopes. Why not! 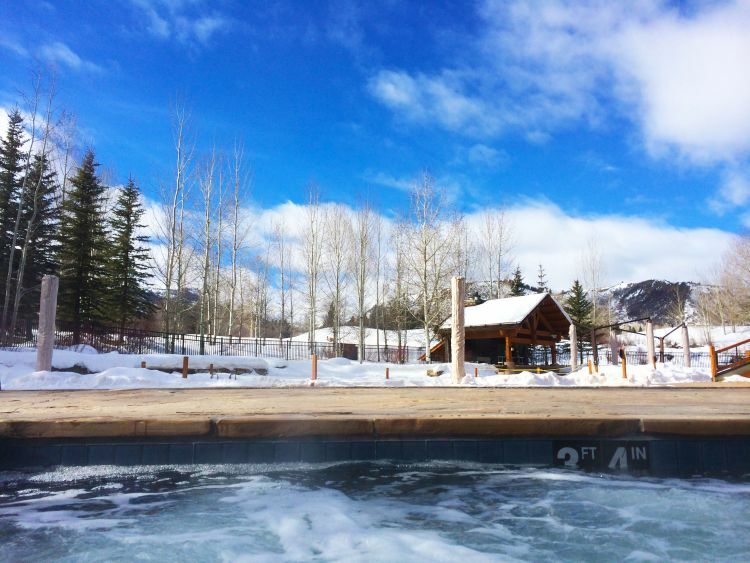 By using the hot tub daily, it definitely eased our aches away after a full days snowboarding. There was even complimentary hot chocolate and yummy cookies every evening at 5pm and free fruit at the gym reception area! 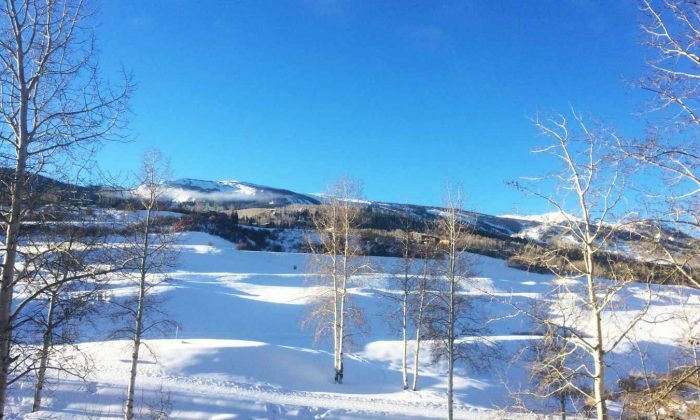 With the villa being only a one stop shuttle ride away from the nearest chair lift at Two Creeks, it’s ideal for those who want to be close to the ski area. There’s also a large parking area outside the villas if you decide on using your own car. For great deals on Villas at Snowmass Club, check out Booking.com. 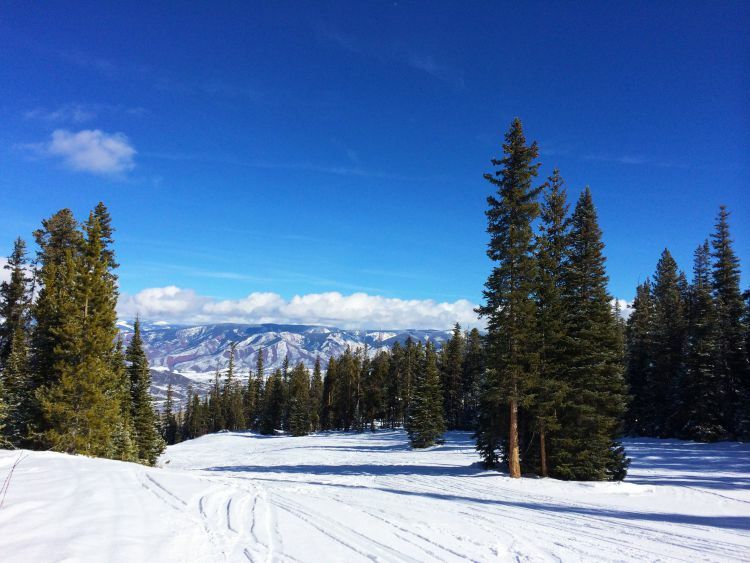 There are four mountains in Aspen; Snowmass, Aspen Mountain, Aspen Highlands and Buttermilk. Snowmass has it all really with buttermilk more for families, beginners, kids and freestyle riders who can try out the park and pipe. 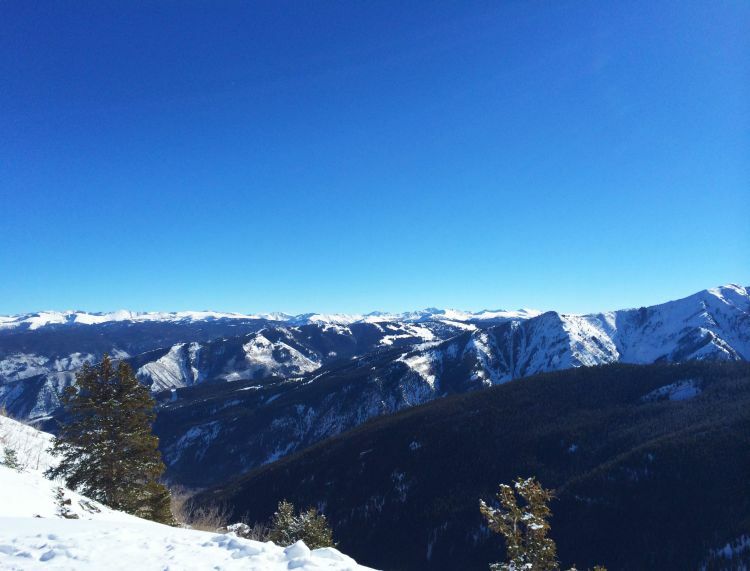 Aspen Mountain, previously named Ajax, is where it all began and where you’ll find many of the locals and is really for the more advanced rider. 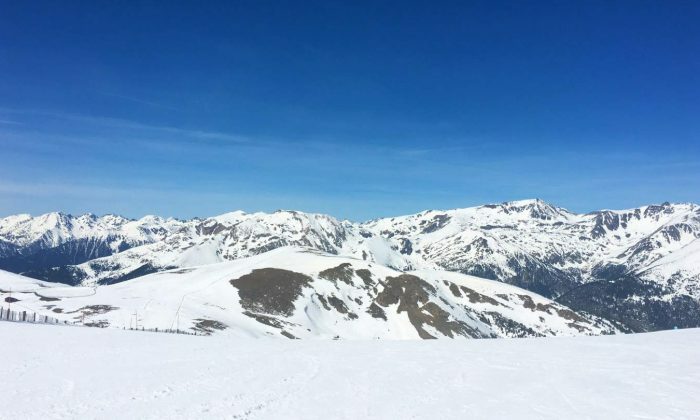 Aspen Highlands is again favoured by the locals and offers advanced/expert runs although there are some beginner/intermediate runs around the mid to lower half of the mountain and the highlands bowl which offers exhilarating rides which you can take a snowcat to or hike. We spent the majority of out time at Snowmass which has 94 trails over 3,332 acres, offers a vertical rise of 4,406 ft and an elevation of 12,510 ft at it’s highest summit ‘The Cirque’. Pretty impressive right. The mountain is vast to say the least, making it ideal for intermediate and advanced snowboarders and skiers and anyone that likes a few long cruising runs. The upper part of the mountain has the intermediate and advanced runs and you’ll find the lower part has the easy gentle runs for beginners. 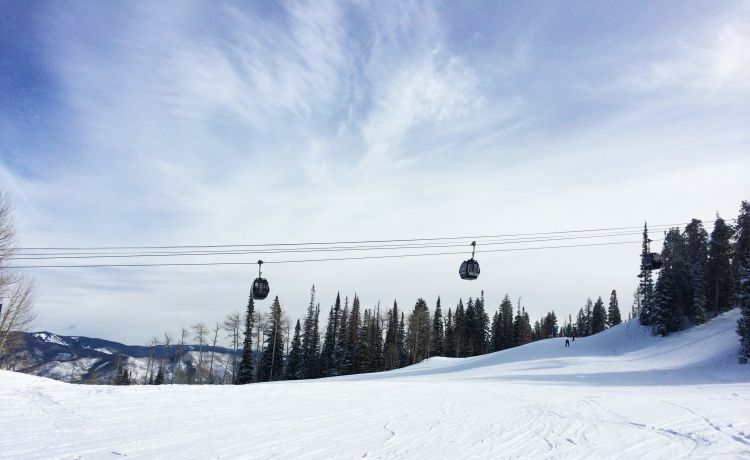 Snowmass is more suited for intermediate/advanced boarders as there’s more options of blue runs and easy blacks. 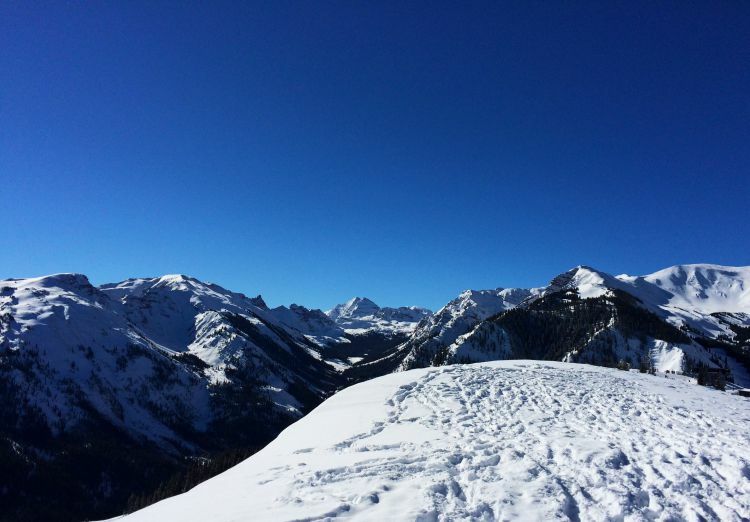 Snowmass is the largest mountain out of the four and also has alot of varied terrain from off piste, powder, groomed or gladed runs. There’s a free shuttle bus which runs between the mountains if you wanted to ride any of the others too. We absolutely loved the gladed runs and the ungroomed runs which tested us! If you fancy a challenge, then go down the mogel runs – you’ll get a proper work out! The longest run is Long Shot at 5.3miles with a nice steep uphill trek to get there! We definitely needed a break before we headed downhill … and the views are glorious! The Winter season usually runs from November to April, with an average annual snowfall of around 300 inches. If you like your jumps and tricks, try the Snowmass Park and the 22 foot Zaugg cut superpipe! There’s also a 12 foot beginner pipe to start you off. Don’t forget to buy your ski pass. The best thing with the ski pass is that it allows you to use it across all four mountains. Try and purchase your ski pass in advance for a discount. Every Wednesday and Friday, be the first to do the first run of the day with the staff. Experience riding the groomed runs with fresh powder. These free tours run daily from 11am and 1pm from mid-December. Why not join a nature tour and learn more about the high alpine environment with a naturalist. 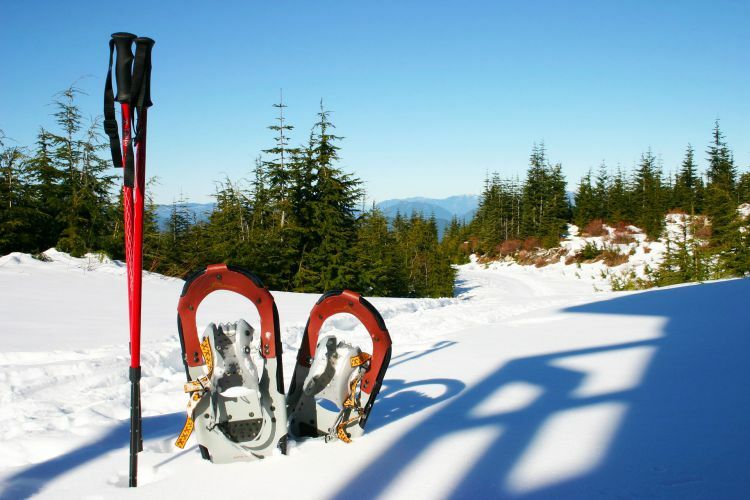 Have you tried snowshoeing? Snowshoeing tours run daily at 10am and 1pm from Elk Camp Gondola and the price includes snowshoes, snack and lift. 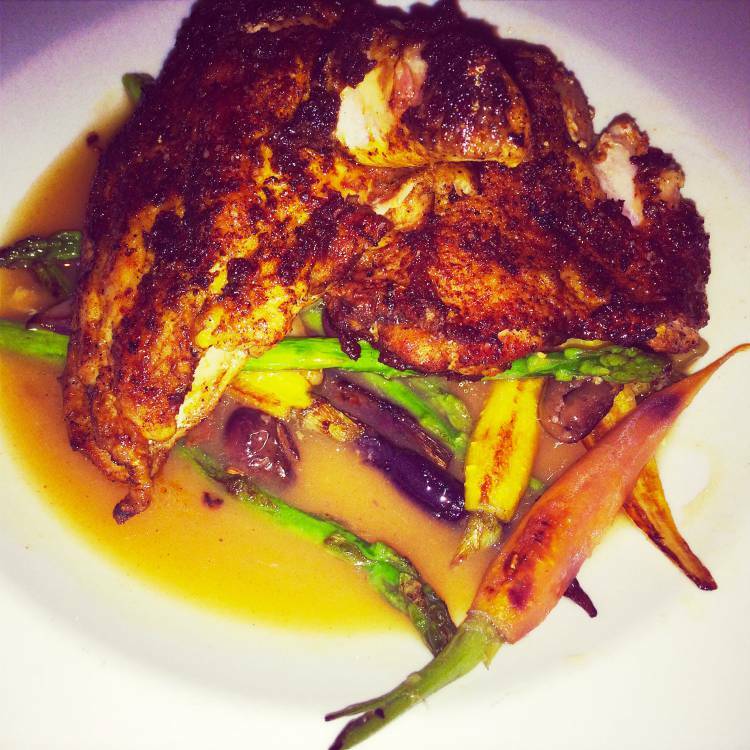 There are countless restaurants in Aspen, with cuisines to suit all palates. If you fancy Italian, French or BBQ …. Aspen has it all. However, on a personal note, we found many of the restaurants to be overpriced and the food somewhat bland … especially compared to many other places we have eaten in the USA. 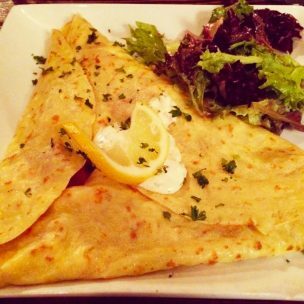 If like us you adore French food, then you must try the savoury crêpes here. 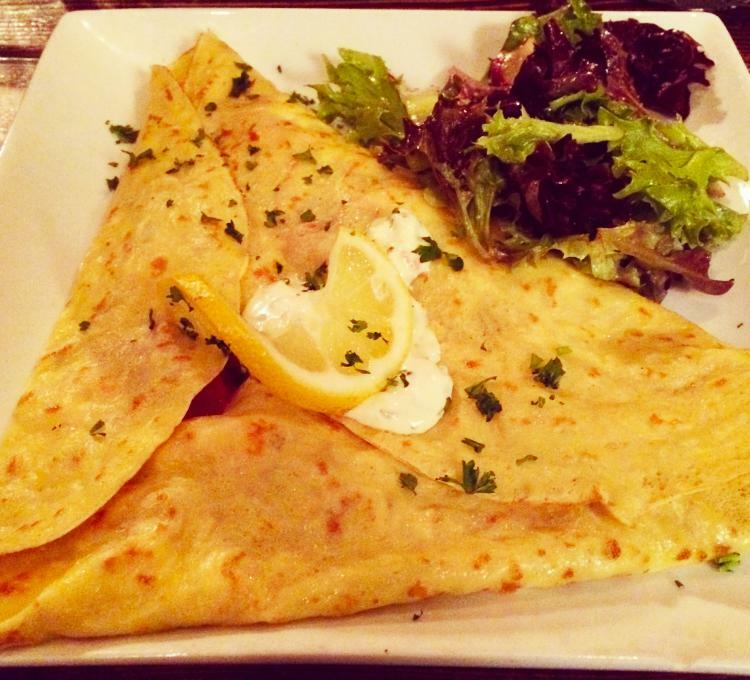 A lively and cosy French bistro with a relaxed ambiance, which can get fairly busy. Best to book a table or head over there early. 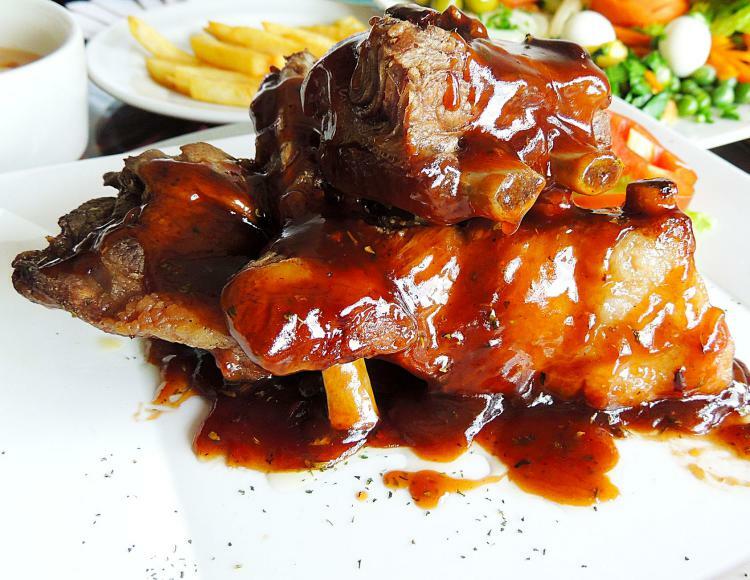 For the meat lovers, you need to try the baby back ribs and the barbeque sauce. Hickory Rib House is open all day serving ribs, chicken, pulled pork, brisket with a variety of sides. We suggest you try ‘The Feast’. 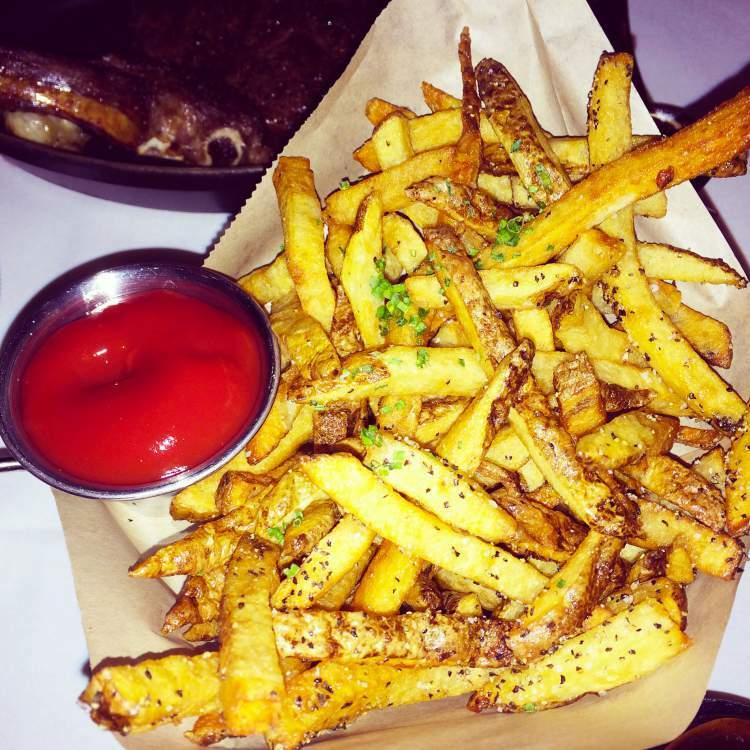 You won’t be leaving the restaurant hungry! They even do delivery if you’d rather take a rest from going out. If it’s steaks you’re looking for, then this is your place. 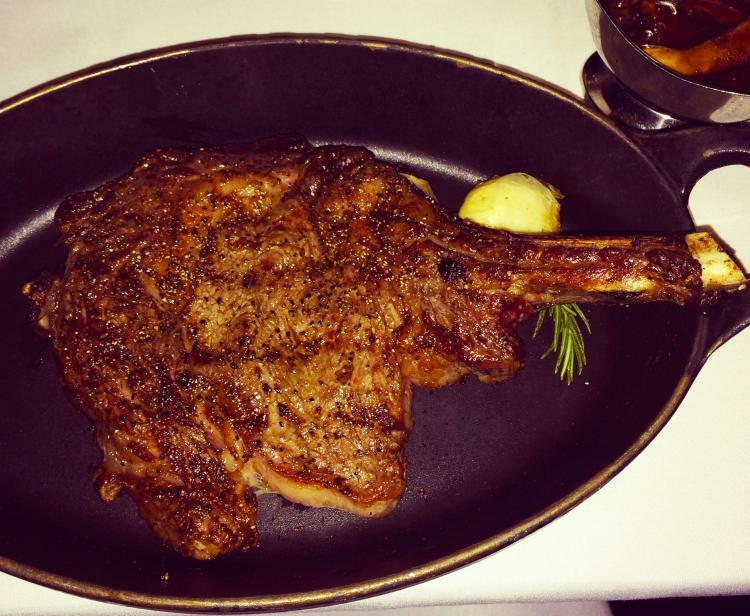 Ian and I munched our way through a 20 oz rib eye steak EACH! The question you’re probably asking is did we finish it? Of course! Great service, friendly and courteous staff with a warm atmosphere. 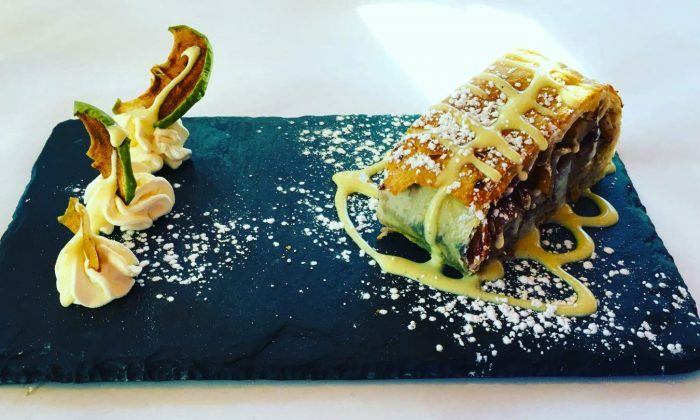 An intimate, European brasserie offering Mediterranean cuisine. After a few nights of steaks and BBQ, a lighter meal was welcomed. 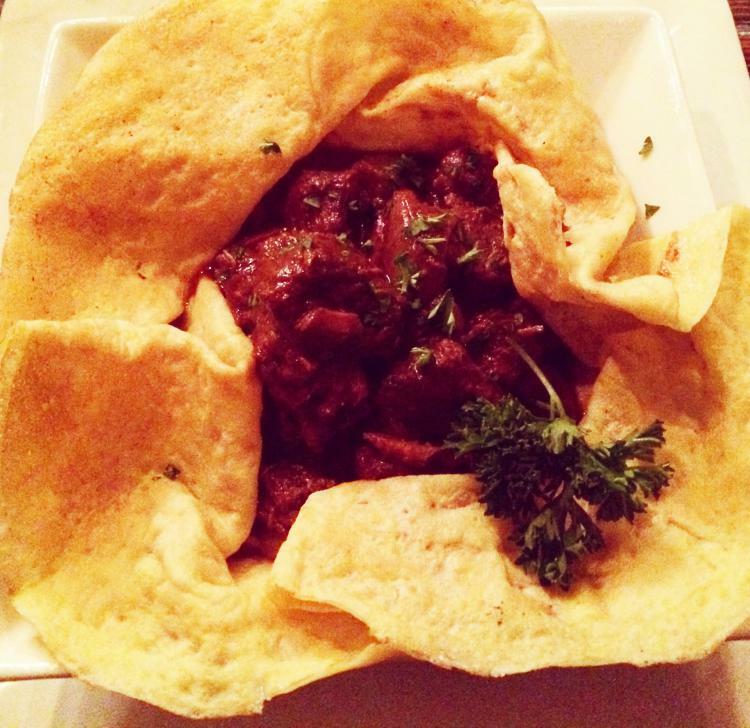 The Wild Fig is a cosy and charming restaurant and each dish was packed full of flavour. Great for an evening meal out. There’s also an option to enjoy a Western meal high up in the mountains in a cabin. Once the lifts close, a snowcat will pick you up and you will enjoy a 4 course meal with live music. An experience not to forget! A winter wonderland held at Elk Base Camp, where there’s live music, tubing, snow biking, snow slides and bonfires. 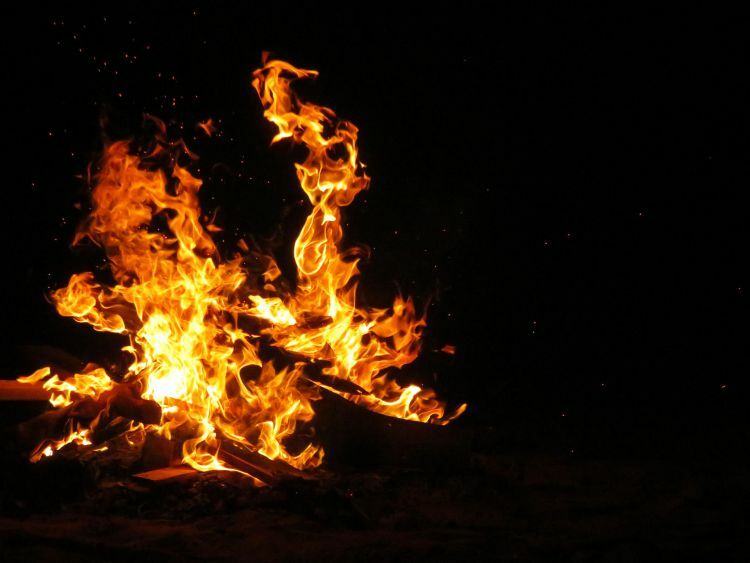 Warm yourself up at the bonfire and sip on hot chocolate and nibble on S’mores. A fantastic family evening out – there’s even snow bikes for the kids too! This is held every Friday. During Ullr nights, the lanes carved into The Meadow are lit up for tubing. This is great fun, fueled with adrenaline and offering a thrilling experience sliding down on the snow. Why not race your friends! This is a new attraction which opened this year, so unfortunately we haven’t experienced it. Enjoy a ride of speeds of up to 28mph, winding through the forest; 5,800 feet long and 400 vertical feet drop. The ride lasts between 7-9 minutes and the coaster is controlled by the rider. This we would have loved to try! Price: $49 unlimited access of the tubing and the Breathtaker Alpine Coaster for 2 hours. Join a snowmobile tour and ride to the base of Maroon Bells, through meadows and and thick aspen groves and take in the magnificent scenery. Or how about riding past frozen waterfalls to the Independence Pass and stop at a cabin for an all-you-can-eat cheese burger meal. Yum yum! We had a fun time snowboarding Snowmass mountain, so many trails to suit all levels, especially intermediate and advanced. The mountain area is huge and so you needn’t do the same trails each day. There’s numerous activities if you fancy a break from snowboarding – from snowmobiling to tubing or trying out the new attraction. The only thing we noticed compared to snowboarding in Jackson Hole, is the price of food and accommodation was more expensive and some of the runs at Jackson can be more challenging. 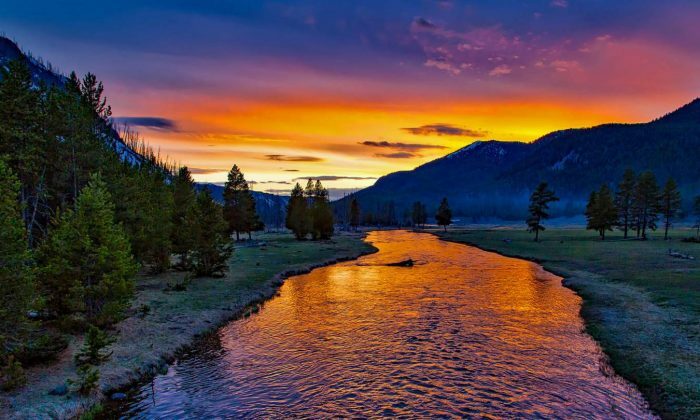 You definitely get ‘more bang for your buck’ at Jackson Hole. 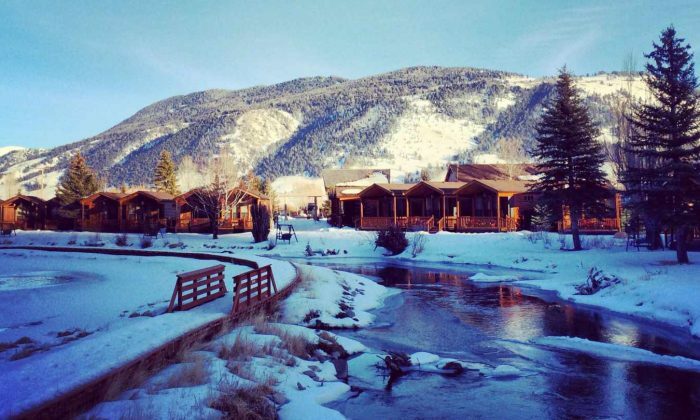 Have you visited Aspen during Winter? 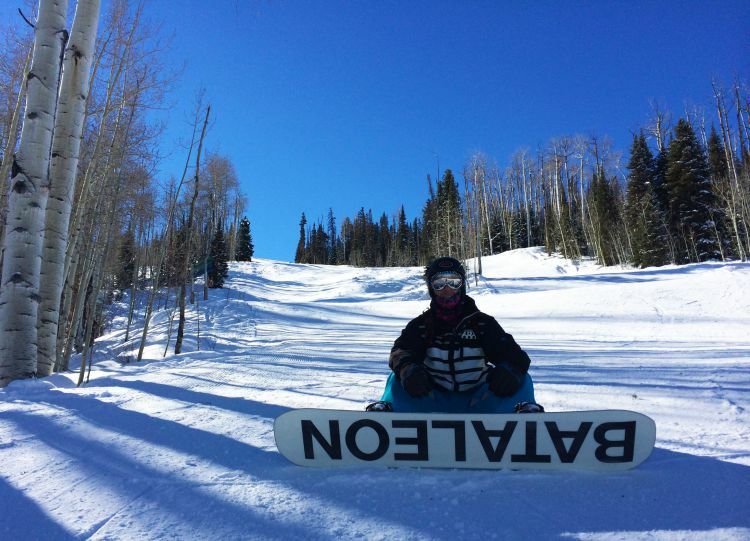 Where’s your favourite place to snowboard? 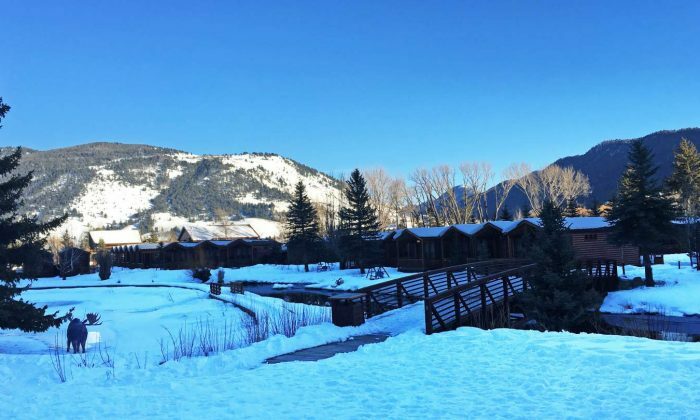 The next time I am going to Aspen, I will be checking them out, I am not a snowboarder but I love to stay in places like this!! Thanks pinning for later! Being French, I know about Aspen probably like an American person would know about Sait Tropez. It’s quite a dream destination for me although I’m not sure i will ever get to go. It looks fantastic! Have you even been skiing in Europe? 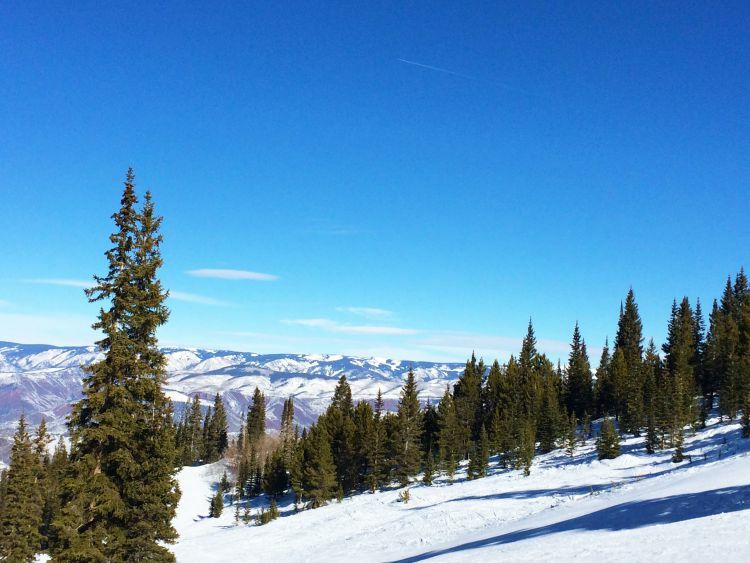 Snowmass looks just fantastic. I mean who wouldn’t want to spend a holiday there? We have gone snowboarding a few times, and I find it to e much easier to do that skiing. After falling flat on my face about 20 times. 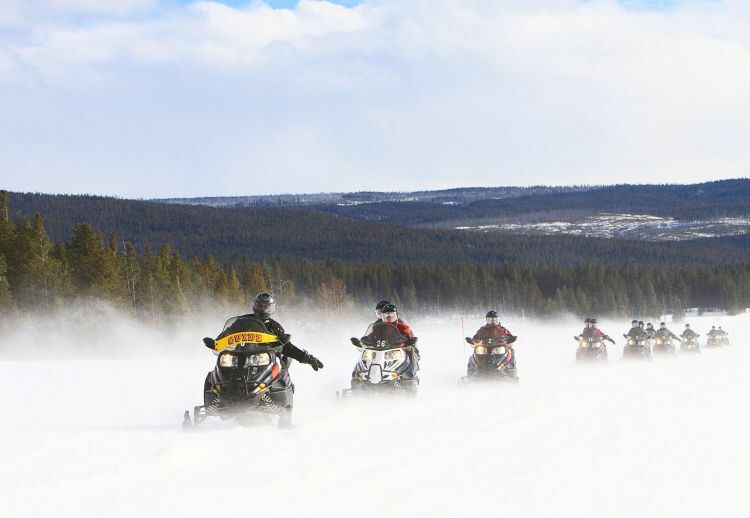 Snowmobiling is the absolute best part of a winter holiday! Your pics are fantastic Lana! Love this post! Snowboarding sounds like fun, because I haven’t done it yet. And the food looks amazing, another reason to head here, haha. I’m not much of a snowboarder but this place sounds quite nice! It seems like it is worth the visit to take a slow pace and enjoy yourself. 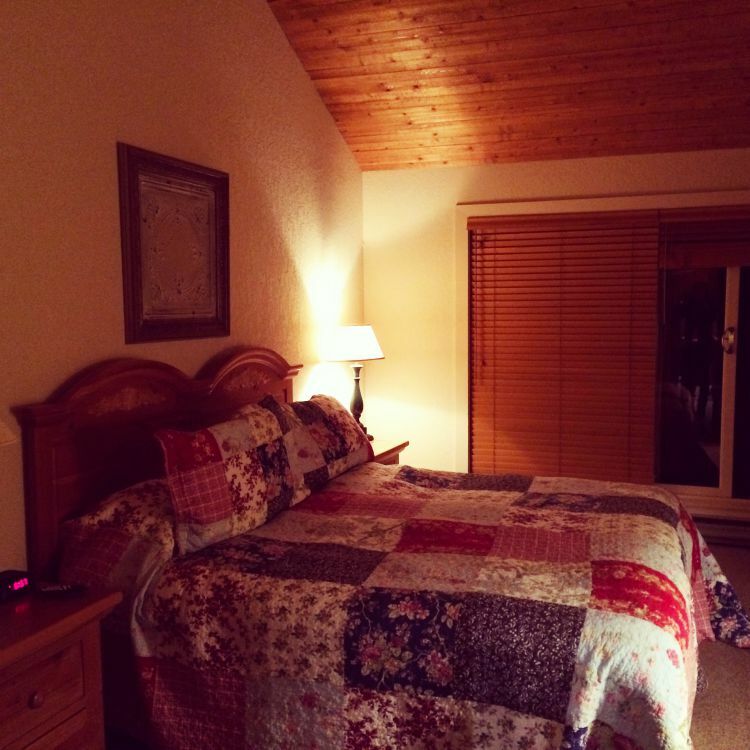 The lodging looks homey and comfortable as well, I can imagine snuggling up by the fire with warm cocoa. 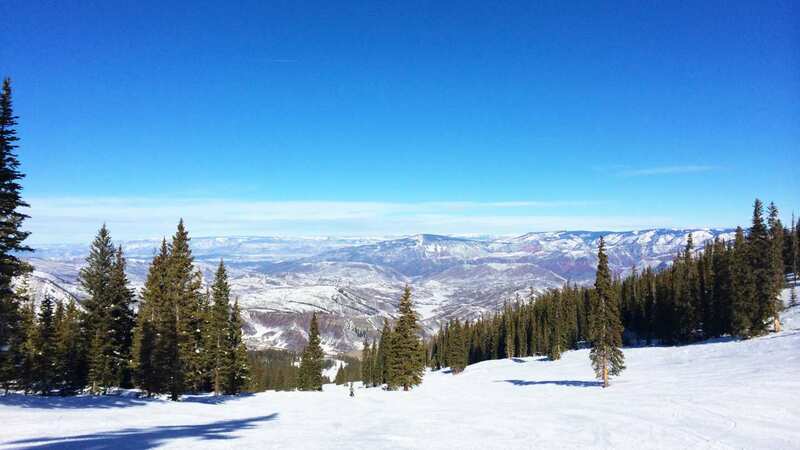 I love hitting the slopes and I would love to experience Aspen some day, some of my snowboarding friends have actually been there before and had an amazing time. I’ve never actually done Snow-shoeing before but would love to give it a go but it sounds exhausting haha. Nothing beats really great food after a long day on the slopes. 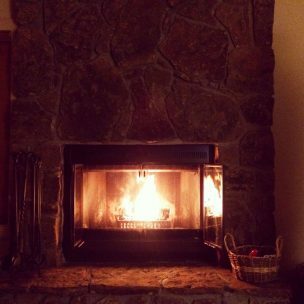 This is how I want to spend my winter! I am salivating right now after reading this post!! All the food options look incredible, I can’t choose which one is my favourite. So great the place is called Snowmass (! ), it really fits in with the wintry theme and snow sports. It’s a good thing you had all these excellent slopes to snowboard and work off the food. It makes you less guilty about all the complimentary hot chocolate and cookies at 5! 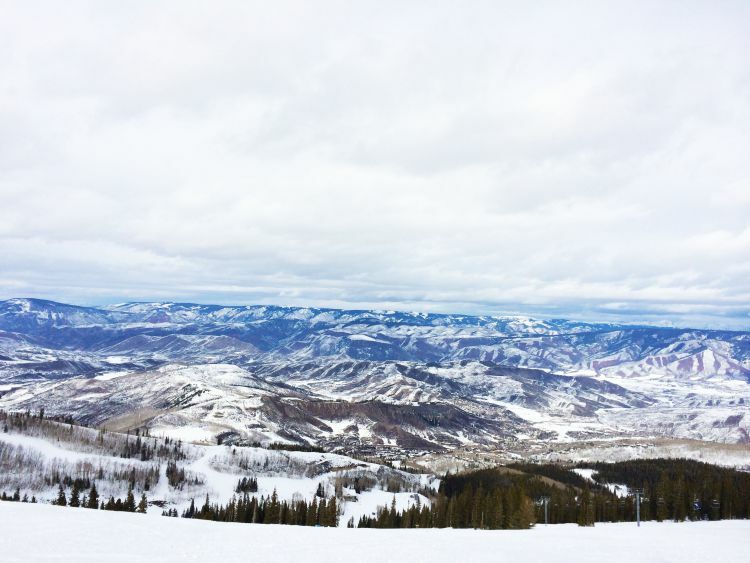 Snowmass Mountain looks gorgeous! I never did manage to learn how to snowboard. My one attempt did not go very well! 🙂 Maybe I should give it another try — or just stick with the snowshoe option! 🙂 This looks like a beautiful and cozy place for a winter holiday! Thanks for sharing!